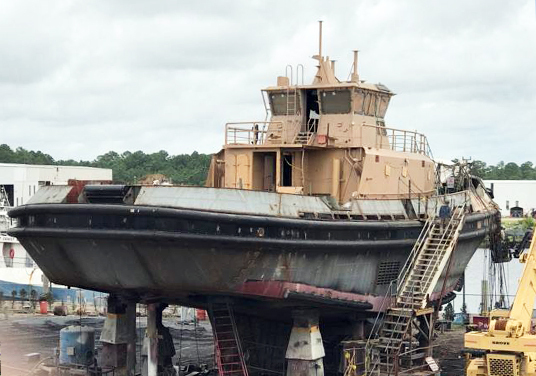 In June 2018, Metal Shark acquired the assets of Horizon Shipbuilding bringing a 35-acre Alabama shipyard into Metal Shark’s growing portfolio of facilities. 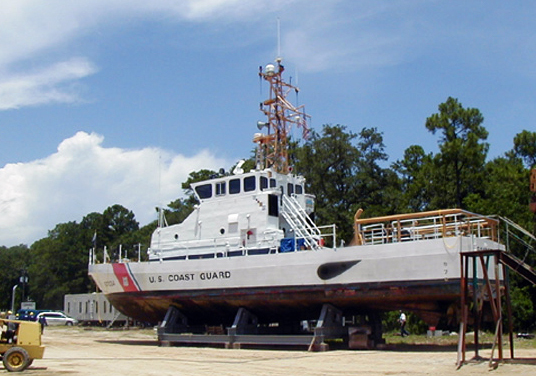 Metal Shark – Alabama is located in the Mobile Bay region and offers a full range of shipbuilding and repair services to operators in the Central Gulf and beyond. 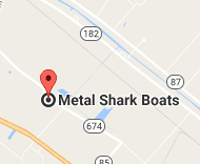 Metal Shark – Alabama is a fully developed 35-acre shipbuilding facility, with separate east and west yards both fronting a dredged deepwater inlet. The facility boasts a total of nine assembly buildings; a 660-ton Travelift; multiple cranes, CNC plasma cutters, welders, and other fixtures supporting the construction of steel and aluminum vessels up to 300’ in length and 1,500 tons launch weight. Our Alabama yard is situated just minutes from the Intracoastal Waterway with direct access to the Gulf of Mexico. 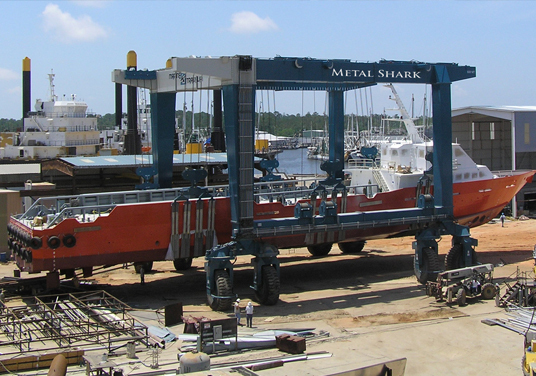 Metal Shark – Alabama specializes in the design and construction of steel vessels for multiple markets. With its in-house design team of over 60 naval architects and maritime engineers, Metal Shark offers its own portfolio of proven designs and also works with leading independent design firms to offer a full range of custom vessels. 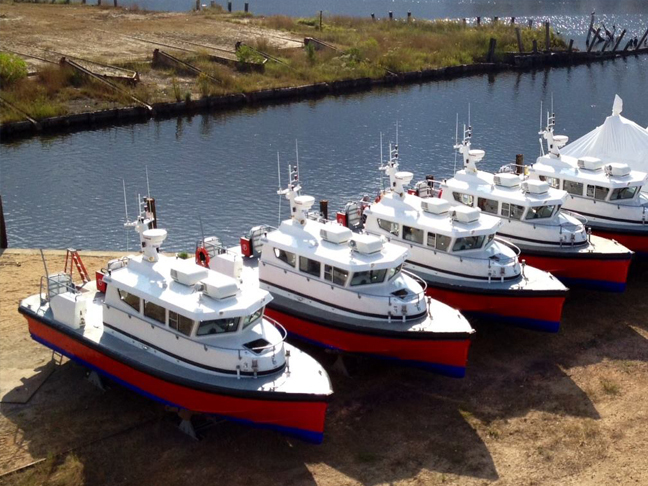 The yard has been laid out and specifically equipped to support the fabrication, construction, and launch of high quality vessels up to 300′ in length. Metal Shark’s industry-leading serialized building methodologies, program and project management, and quality assurance practices – all honed over the delivery of over 1,000 boats to U.S. and foreign militaries – assures top quality, on-time completion and consistent results. Metal Shark – Alabama offers high-quality maintenance, repair, and conversion services to government, commercial, and recreational operators. 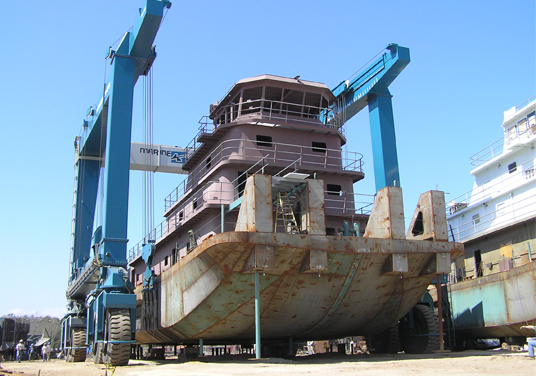 With an easily accessible Central Gulf location fully equipped to serve as a “one stop shop,” Metal Shark provides a full range of custom-tailored services; everything from haul-outs for surveys, bottom paint, prop and shaft service, to complete overhauls, upgrades, repowers, conversions, and structural repairs for steel, aluminum, and composite vessels. More than just another shipyard, this facility is supported by Metal Shark’s vast resources and military-proven project management systems. 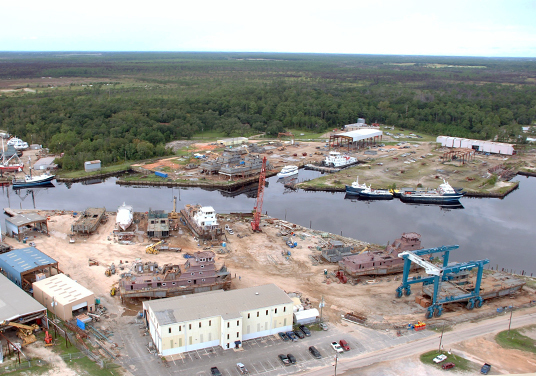 With a 660-ton Marine Travelift, crane service, and ample vessel storage space at this 35-acre yard, Metal Shark – Alabama has the capacity to handle multiple simultaneous jobs, delivering military-grade quality and on-time results for guaranteed customer satisfaction. Metal Shark’s Alabama shipyard offers the unmatched benefits of an in-house engineering team composed of over 40 naval architects and marine engineers. 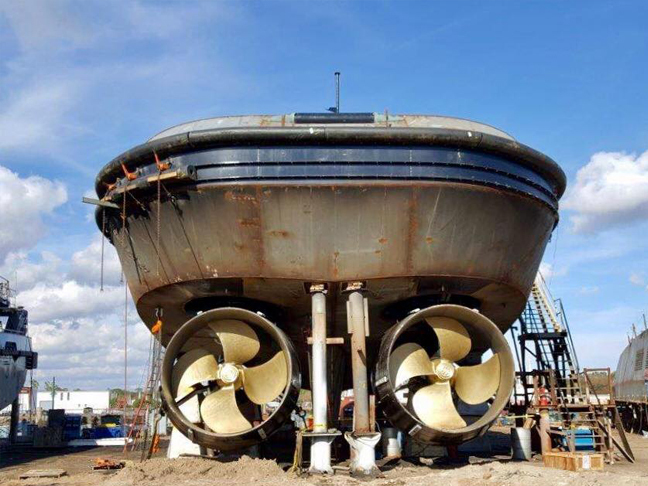 Metal Shark leverages this formidable resource to create its own highly specialized and thoroughly engineered vessel designs and also to interface seamlessly with outside engineering firms to assure precision results. Metal Shark works with leading design firms to offer technologically advanced vessels that are custom-tailored to meet exacting customer requirements. 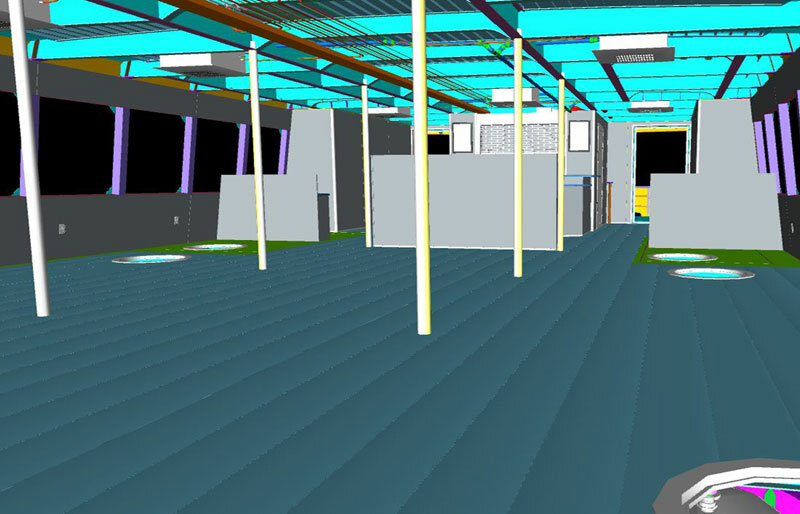 Metal Shark goes above and beyond, utilizing extensive 3D modeling to allow the project to be realized in advance, greatly facilitating planning, resource allocation, and an exact interpretation of each vessel’s design for precision, quality results. Metal Shark backs up this engineering strength with the support of highly capable, industry veteran project managers who are tasked with keeping each project on time and on budget. Onsite Facilities: Modern air-conditioned offices with over 4,000 square feet of workspace accommodate Metal Shark’s onsite engineering, project and production management, quality assurance, and administrative staff, with ample dedicated space to support each client’s project staff for the duration of each project. Beneath the two-story offices at the main (east) yard are two production bays each measuring 150’ x 50’. One bay is occupied by twin CNC-controlled 40’ plasma cutting tables, which are served by a 10-ton overhead crane. The main bay is used as a secure warehouse for contractor and customer furnished materials and is served by a 7-½ ton overhead crane. Two 175’ X 50’ construction buildings are used primarily for the construction and outfitting of boats and boat modules. To facilitate vessel launch, these buildings are located adjacent to the yard’s 660-ton Marine Travelift. To streamline the construction process and reduce the reliance on outside subcontractors, the yard boasts fully equipped machine, electrical, and pipe shops. 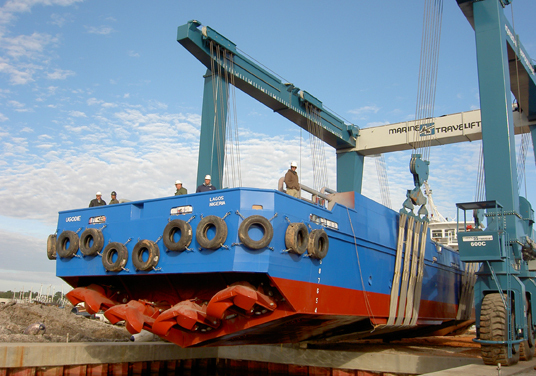 All piping and installation of main propulsion, electrical, and auxiliary equipment is performed in-house. 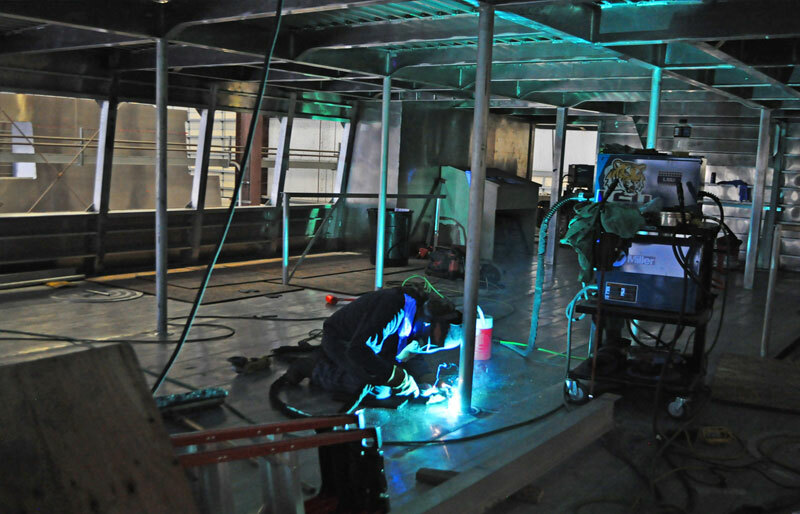 Additional onsite support infrastructure includes panel and small parts fabrication shops, a paint/blast shop, and superstructure production and outfitting areas. Overall, the 35-acre yard boasts nearly 45,000 square feet of manufacturing space under cover, with an additional 45,000+ square feet of construction area not under cover, with ample outdoor storage space and room for future growth. The ALLtra Model PG14-12 Shape Cutting Machine is a CNC controlled gantry designed for cutting complex shapes for sheet or plate materials. It is capable of producing parts at high speeds and close tolerances and fully utilizes the latest plasma technology. The machine is easily configured for plasma or oxy/fuel shape cutting processes and can be customized for special applications. Metal Shark utilizes the Hypertherm HPR260 plasma cutter controlled by the Burny 10 LCD shape cutting motion controller using MTC ProNest 8 nesting software. Six (6) workstations are designed for ease of operation featuring automatic material hold downs and punch strippers. For employment information, visit our Careers page. To speak with a member of our sales team regarding your new build or repair/refit/conversion project, Contact Us today. Learn more about our Jeanerette Production Facility and Franklin Shipyard. Metal Shark has been recognized by the Shipbuilders Council of America for its leading safety practices. Click here to learn more.